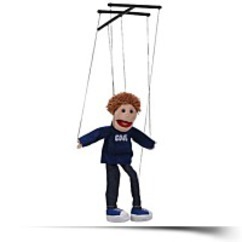 Your little child will definitely hug to this Cool Boy Marionette by Frankelcostume.com. For the greatest offer for this item and various other products, check out the market add to shopping cart button below. Cool Boy has brown hair. He wears black jeans, a navy blue sweatshirt with"COOL"in white, and blue sneakers with white stripes. Stands approximatly 25"tall from the bottom with the feet towards the control. 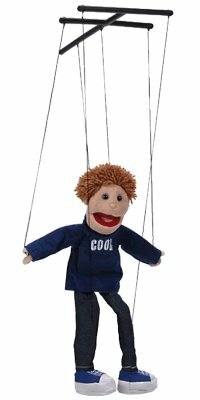 Suspended by black cords attaching to the head, each hand, and each foot.